Finding Your Way Back To God - Are you looking for more out of life? Wanting more is really a longing to return to God—wherever your relationship with God is now. 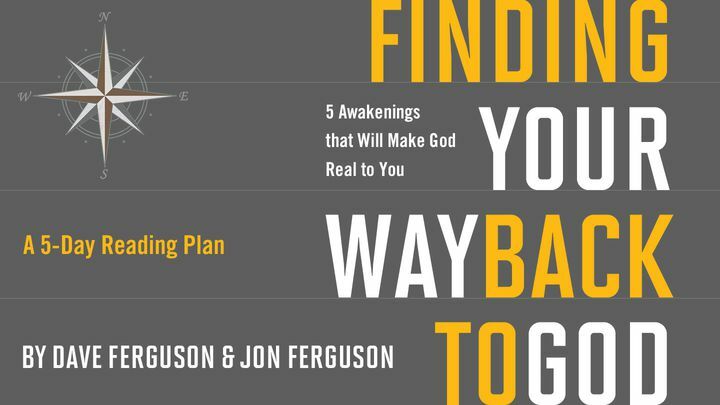 We all experience mile markers—or awakenings—as we find our way back to God. Journey through each of these awakenings and close the distance between where you are now and where you want to be. We want to find God, he wants even more to be found. Are you looking for more out of life? Wanting more is really a longing to return to God—wherever your relationship with God is now. We all experience mile markers—or awakenings—as we find our way back to God. Journey through each of these awakenings and close the distance between where you are now and where you want to be. We want to find God, he wants even more to be found.